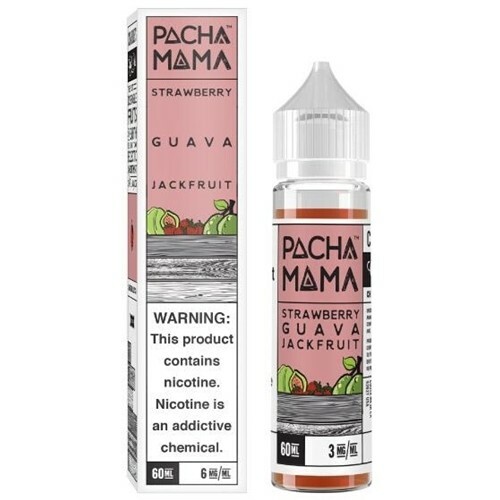 Pacha Mama 60ml E-Juice - Strawberry Guava Jackfruit. 1ct. 60mL Strawberry Guava Jackfruit - Some things are just better “jacked” up. Take a Strawberry - guava flavor, it's good but well, normal. Add a little Jackfruit, and now your talking. Fresh, unique and a vape you will come back to time and time again!